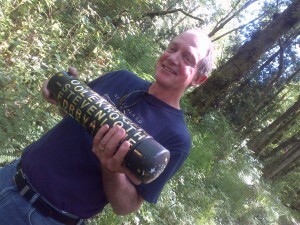 I have been Geocaching since 2005 as “Team K1W1”. My interests include (in no particular order) Geocaching, Fly Fishing & Rod Building, Sledding, Mountain Biking, Electronics, Open Street Maps, Arduino, Linux. Recently joined the Vancouver Hackspace.